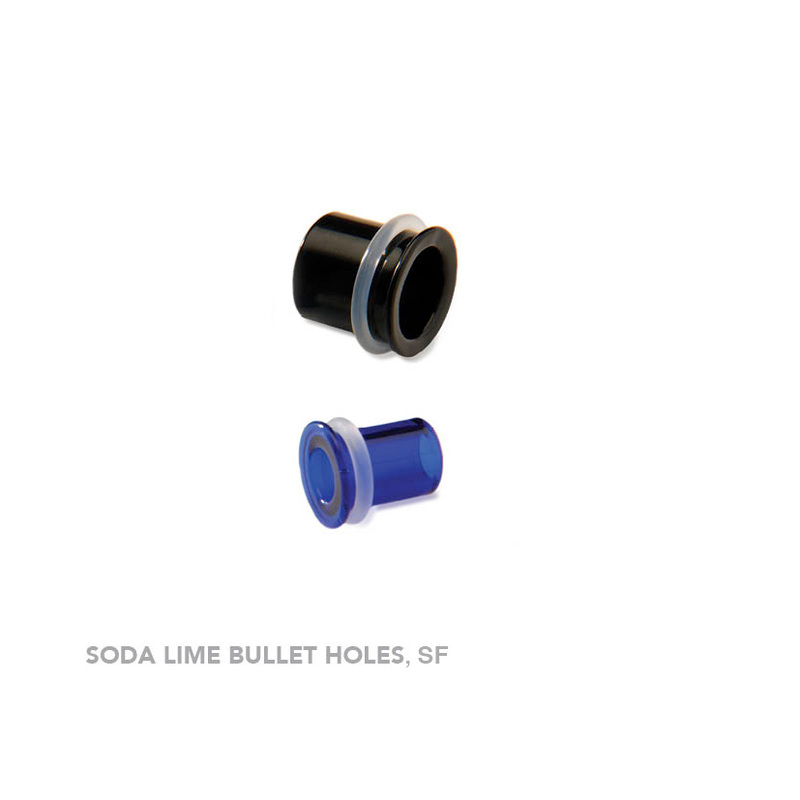 Soda lime glass “bullet hole” eyelets from Gorilla Glass. These single flare eyelets include an o-ring back. We stock the black color. Also available in cobalt, ocean, or emerald. Categories: By Jewelry Type, Glass/Titanium Plugs, 1/2" (12-13mm), Stretched Ears, 1/2" (12-13mm).